The final piece to the SCORE Process is to evaluate your campaign or project to measure success. For some organizations, evaluation is simply a binary function – did you win or lose? Did you make the goal or not? However, that’s not how great organizations evaluate their work. Good leaders, good organizations, and good marketing and PR folks know that there will always be another campaign, another sales cycle, another fiscal year. They take the opportunity to measure their success beyond simple black and white terms of failure or success – good organizations look for lessons. Here are some ways you can measure your PR and marketing efforts. Remember the strategy part of this series? The part where we talk about setting measurable goals? Well, this is why it matters. If you don’t set measurable goals and benchmarks, then you aren’t going to have much data to use for evaluation. While “getting lots of press coverage” or “winning market share” might sound like a clear goal, there isn’t much way to measure the quantity or quality of those achievements. If your business takes in more money than you spend, you are profitable. But there’s a big difference between a 5% profit margin and a 50% profit margin. The difference is data. By the same token, just because your new widget-making process gets lots of coverage in your community newspaper, is that helping you attract widget wholesalers who are your actual customers? As Steven Covey says, “begin with the end in mind.” The first step to evaluating your PR and marketing is to set goals that you can measure. Tie those PR and marketing goals to actual business objectives, such as selling more widgets, or adding new customers, or persuading more voters. Put a number on the goal, and plan your strategy to hit that number. Of course we’re going to tell you to “adopt an evaluation mindset” in this section. No surprise there. Here’s another surprise. It’s actually very easy to adopt an evaluation mindset. All it takes is one question and a little consistency. Yep. That’s right. One question can change the entire mindset of your communication program. I told you it was simple. But this question is also powerful. If you test every action, every strategy, every tactic, with this simple question, the results will astound you. Not because the results will be tremendous necessarily, but because you actually will have measurable results you can document to your client, boss, or manager. For two great resources on measuring and evaluating your PR and marketing efforts, check out this article from SHIFT Communications on measuring media relations efforts, and Gini Dietrich’s post on PR Metrics That Win Business. As you can see, a comprehensive approach to evaluating your marketing and PR isn’t only about the size of the crowd (likes, fans, impressions). Sophisticated communicators can also demonstrate how many voters, customers or clients you actually win – through a purchase, a download, or subscription. Yardsticks, tape measures, and more. With all this talk of evaluation, how exactly are you supposed to measure your efforts? Just like any other measurement, you need the right tools. 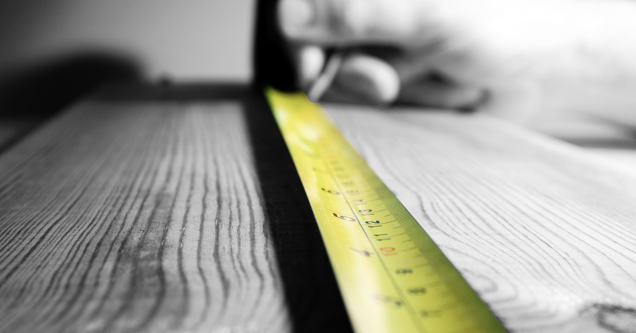 Some tools are simple, like a yardstick or tape measure. Others are a bit more complex, like protractors and compasses, and sextants (wait, we’re in PR because we hate math, right?). It may take you some research and maybe a few bucks a month, but we think these tools are worth it. Google Alerts are a simple and easy way to track your online mentions in news, blogs, and websites. Another option is Talkwalker Alerts. Both will deliver you an email update of any mention of your company or organization. Social media platforms like all have their own insights or analytics functions. (Here are some tips for using analytics in Facebook, Twitter, LinkedIn.) These are great places to start measuring your social media progress. Same goes for all of the popular email services. Link shorteners like bit.ly and social media management apps like Buffer and Hootsuite can track clicks and shares through their own platforms. The online social media monitor service Mention does a solid job of tracking your brand across several social channels. Google Analytics, which is the gold standard for tracking web traffic, lead generation, and referral sources. It is free and comes with a self-directed instruction series. Using UTM codes in your hyperlinks (those long extensions after a link in email newsletters, for instance) will show up in your Google Analytics “campaigns” section to help you track whether your traffic is coming from email, social, or digital campaigns. LeadPages is a service that not only will host and automate content downloads and signups, but will provide you a great look at how many clicks, views, and subscriptions your content is getting. IrisPR is a neat way to track your earned media relations efforts from a pitch/release standpoint. This unique tool takes PR measurement to a whole new level, documenting every interaction with influencers from pitch/release to follow up on through coverage. Cision is a huge media monitoring service and influencer database. This tool comes with a hefty price tag, but for agencies looking to cover a broad range of outlets (both digital and print) or create targeted media databases, it’s a solid choice. And there you have it. Plenty of great ways and tools to measure your communications performance. In today’s changing media environment, you are always competing for customers, clients, voters, and attention. Documenting, testing and validating your efforts will not only make you more effective, but more valuable to your boss or clients. Start measuring. Start evaluating. Start winning!